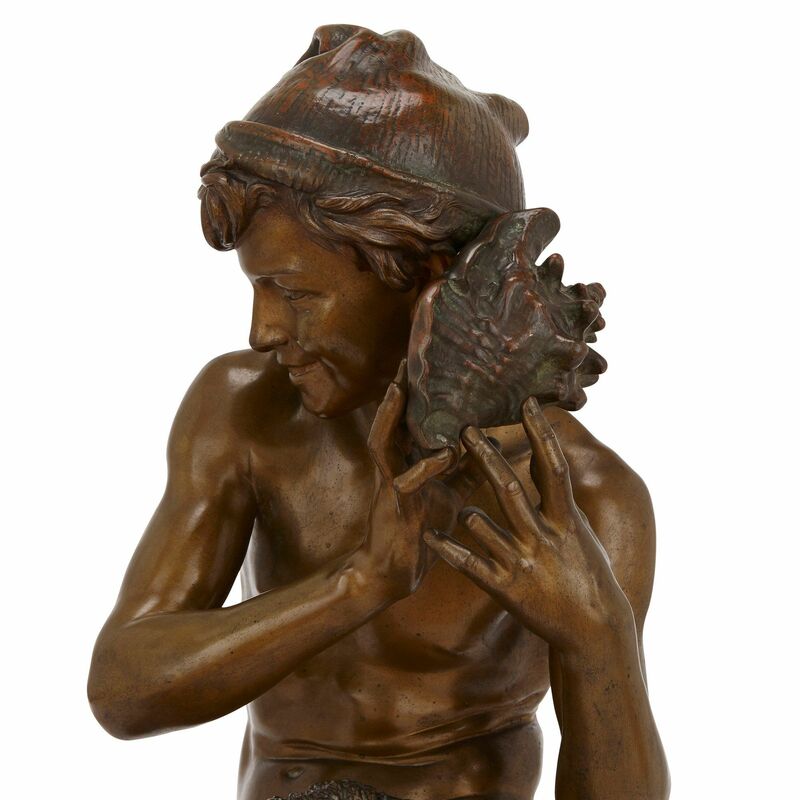 This charming antique bronze presents a rare opportunity to collect an original version of the famous 'Jeune Pêcheur à la Coquille' by Carpeaux. 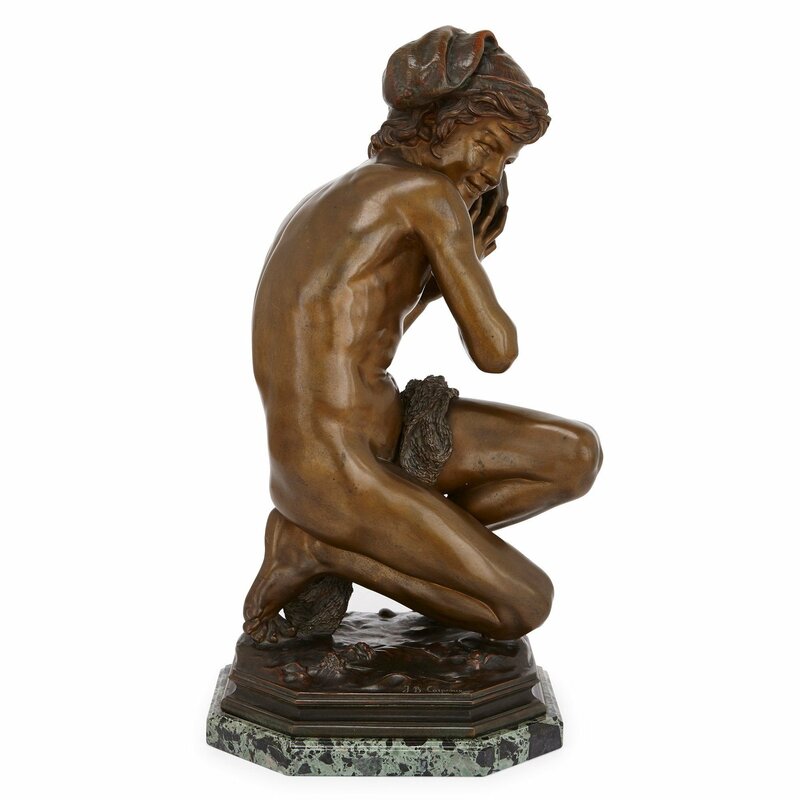 Modelled by Jean-Baptiste Carpeaux and cast by the Susse Frères foundry, depicting a Neapolitan fisherboy holding a shell to his ear and kneeling down on a naturalistic base; signed 'J. 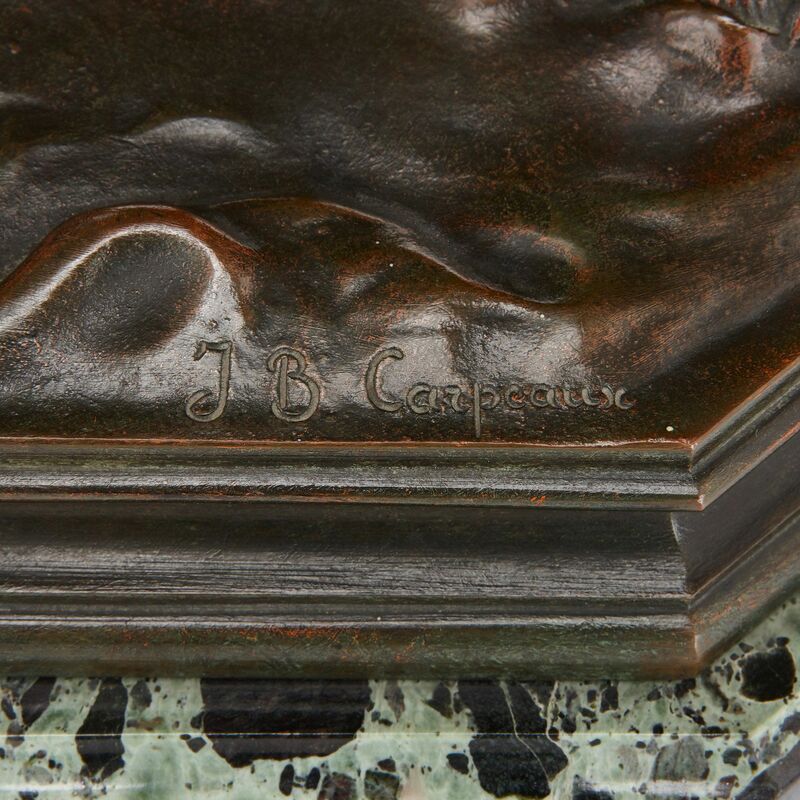 B. Carpeaux' and with Susse Frères foundry, set on a veined green marble plinth. 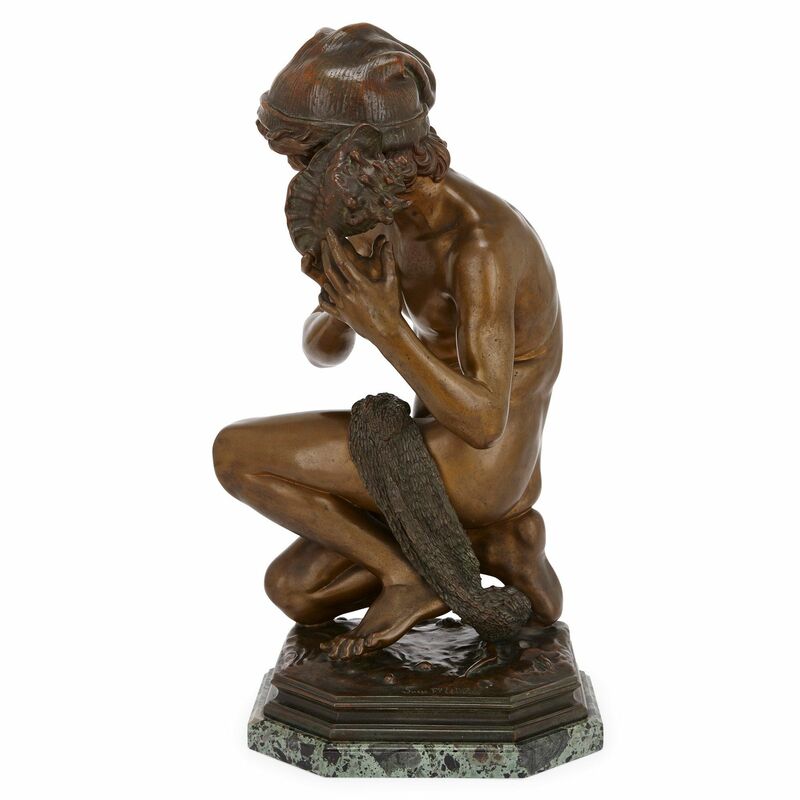 The original model for this delicate antique bronze sculpture of a fisherboy was purchased by Empress Eugenie, wife of Napoleon III, in 1863. 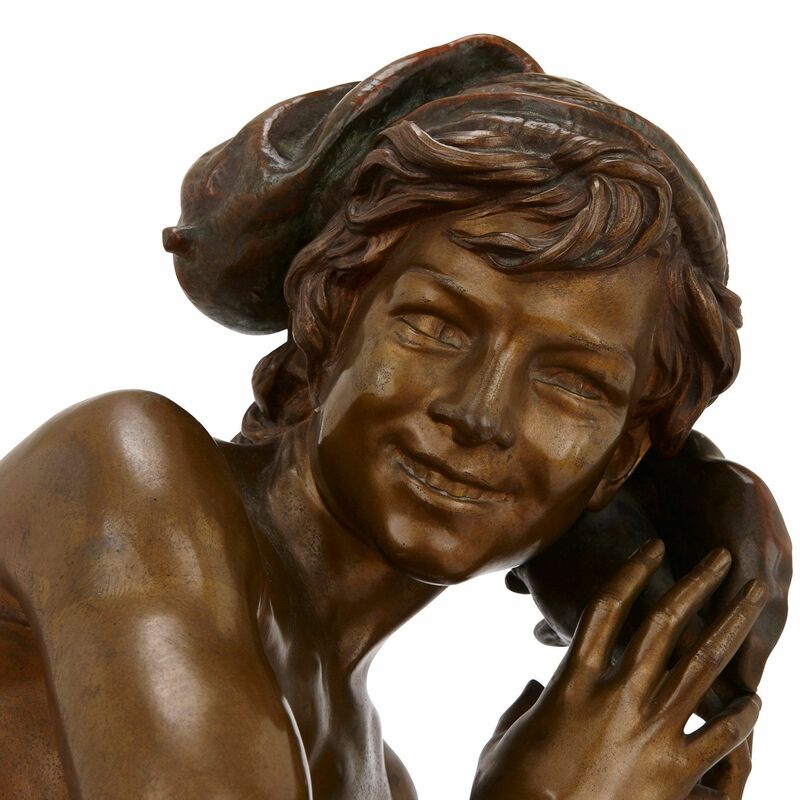 Such was the success of the young fisherboy sculpture, that Carpeaux created a limited number of reproductions and variations in marble and bronze, of which the present bronze offered by Mayfair Gallery is one. 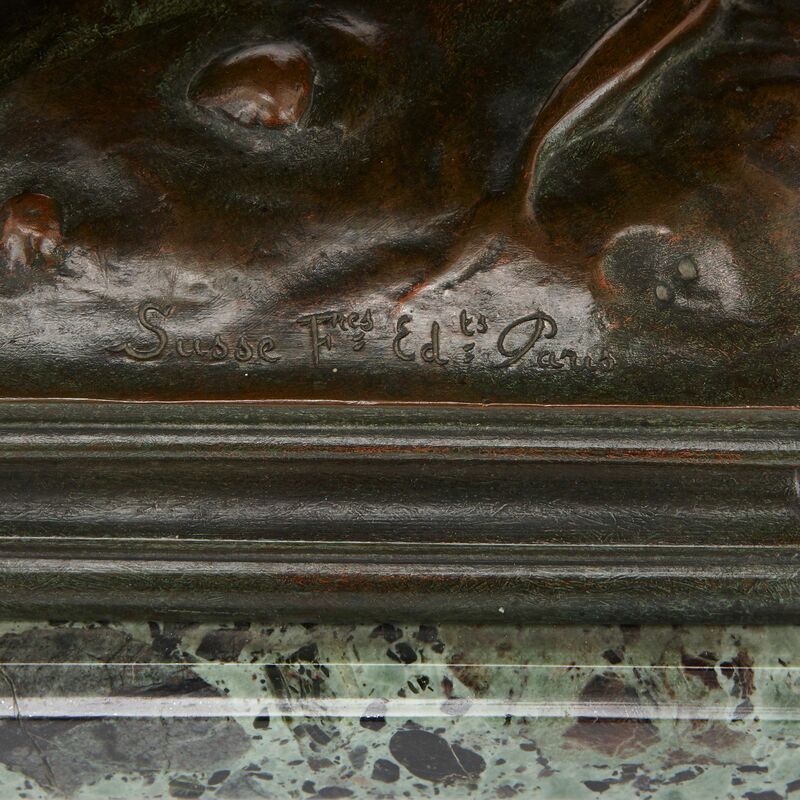 Most of Carpeaux copies of the original are held in prestigious museums; there is a copy, for example, in the Samuel H. Kress Collection in the National Gallery of Art in Washington, D.C.